How much notice do you need to collect an item of furniture? We can usually collect within two weeks. What kind of condition does my furniture/electrical appliance have to be in for you to collect? Your items needs to be in a reusable condition, as all items that we collect are put for re-sale in our shop. For example, sofas should have no rips or tears, and electrical items must be in working order. Do you buy items of second hand furniture/electricals? No. As a charity we are unable to purchase items of furniture. 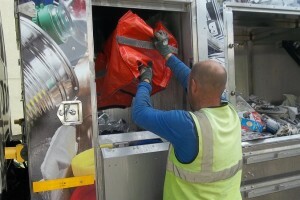 We do however offer a FREE collection service. Will you dispose of my item if it’s no good? Unfortunately we are unable to take items that are not re-usable. If your item is not suitable for reuse we recommend you contact Newport City Council or take your item to the Household Waste Recycling Centre. Will you take a sofa without a fire safety label? Sorry, we cannot take any upholstered furniture that does not have a fire safety label – even dining chairs. Is there a warranty on the laptop/PC I bought from you? Yes see instore for more details. Can I get a discount because I claim benefit? No. All of our items are already very low-cost. Can I haggle/do a deal with you? Most of our prices are set but if you buy several items we are willing to consider working out a deal with you. Do you have recycling boxes? Yes we do. You can either collect from us or call 281 281 to have some delivered to your home. Can I pay on card/with cheque? You can pay on card but not with cheque. Can I donate my computer? Yes. We will accept working and non-working PCs and printers. Can I pay for extra digital inclusion lessons? Sorry, that is not a service that we offer at the moment, but we can help you find an IT tutor if you would like to continue your learning. There are a number of reasons why your computer might not be working properly. We will take an initial look at your computer free of charge. Yes please! Call us on 216 855 and we will arrange an interview time.